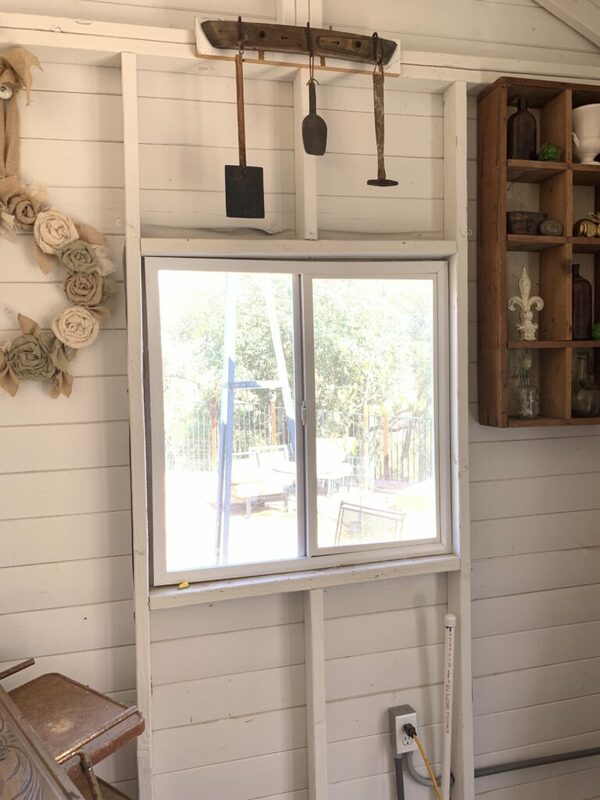 This Vintage Wood Window Frame is my favorite new thing in the Hootshack SheShed. Next week there may be another new favorite, but for now, this is the one! 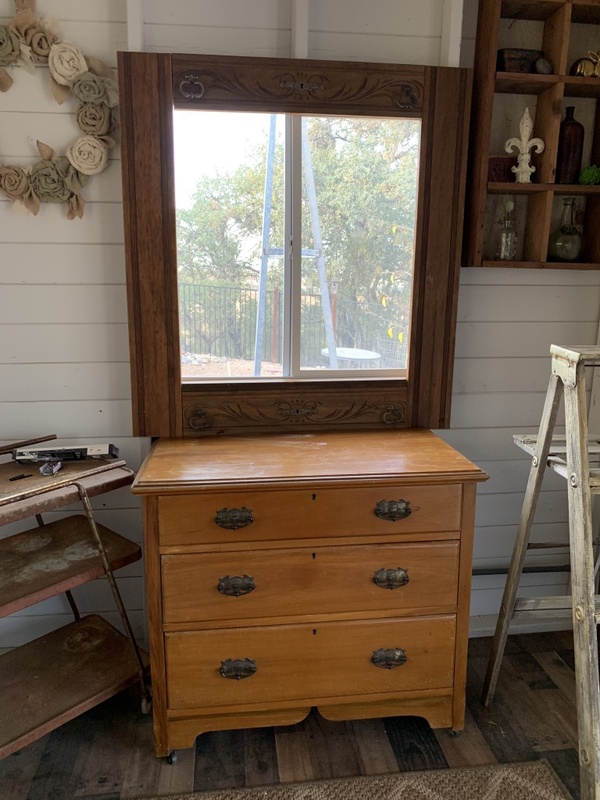 I had an antique dresser that belonged to my grandmother, but over the years, it became dry and brittle. We were moving it awhile back and it literally fell apart! I couldn’t bear to part with the beautiful wood, so I had my husband dismantle what was still holding together and save what he could. A few weeks later, my mom found a vintage bed on a local selling website. We drove an hour to pick it up. It had a cute style and I’d planned to paint it and use it in the guest room, but guess what? As we were mounting it together, it started falling apart. Uggghh! More vintage wood pieces to add to the wood pile. That brings us to my Vintage Wood Window Frame. In this before picture, you can see that the window and the frame are all a little out of whack. I had originally hung a shade over the window, but it was blocking too much light. 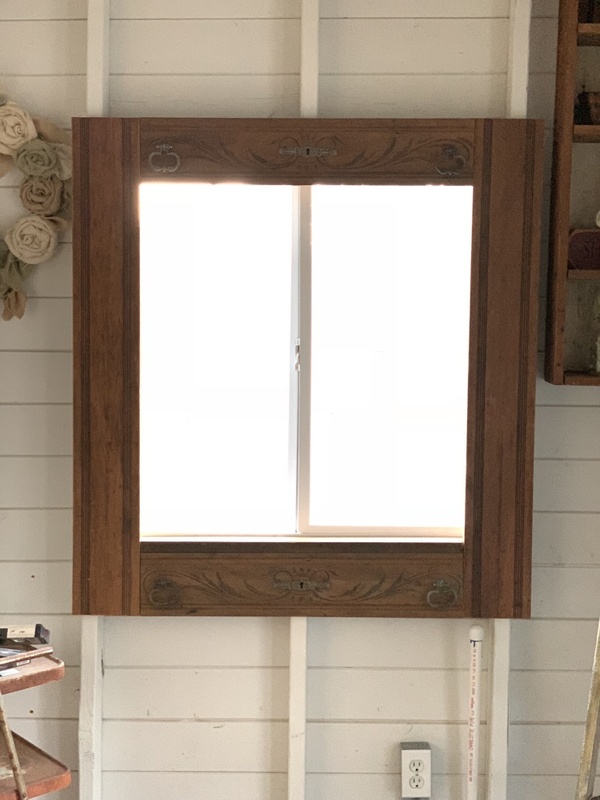 I decided to use the pieces from the woodpile to make a Vintage Wood Window Frame. Before – Look at all of those fun challenges we had to overcome! I scrounged through the wood pile and selected all of the pieces to make my new window frame. If I’d had it my way, the drawer fronts I used would have gone all the way across the width, but they weren’t quite wide enough. Luckily, the bedrails were long enough to finish off the sides. We did have to do some cutting to make things fit, but overall, I’m in love! The sunlight was not my friend when taking this picture. This cute little dresser was given to me. This is what it looked like when I got it. This is after a coat of Chateau Chic chalk paint. I’m in love! 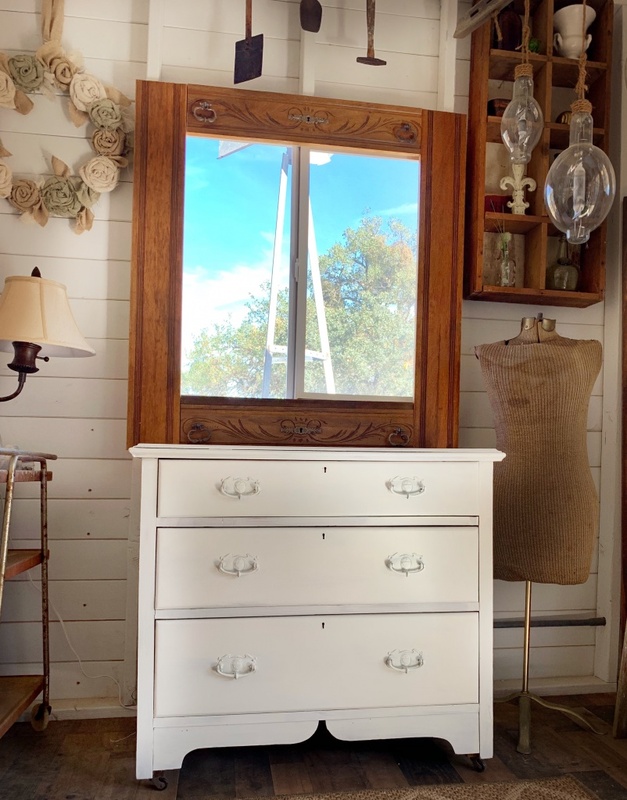 So, if you have some vintage furniture pieces that are not quite worth refinishing, consider dismantling and saving every little intricate piece. 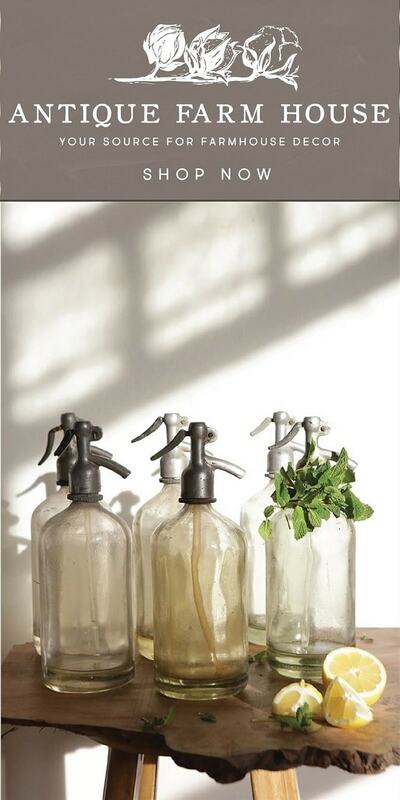 If you love DIY like me, you’ll find a special project for them sooner or later. I realize this wasn’t a true tutorial, but most of my DIY friends get the idea. Thanks so much for stopping by. Before you leave, be sure to give me a follow on your favorite social media channel or sign up for my newsletter. Have a page of your own, send me a DM on Instagram so we can connect!